Are you seeing signs your child needs more attention? 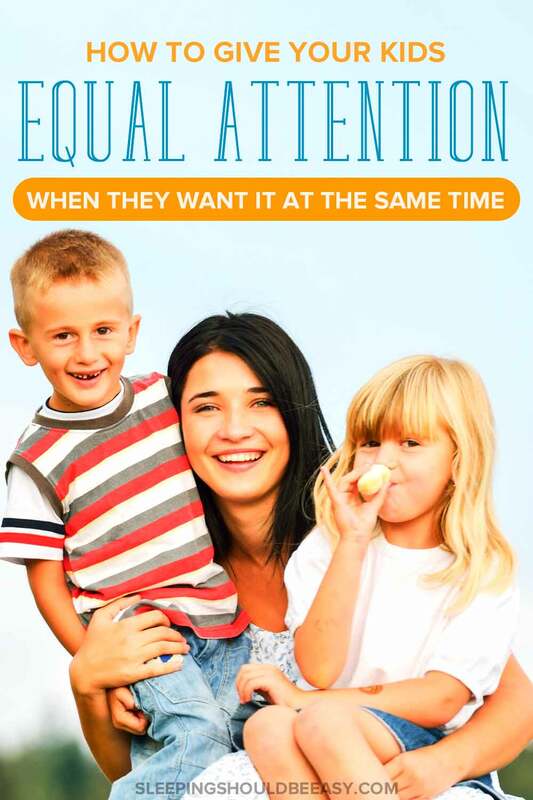 Learn how to give your kids attention (even when they want it at the same time). Every parent who has more than one child has to do The Juggle. You could be having dinner and listening to three different stories all coming at you at the same time. Or you feel guilty for leaving your eldest alone in the living room so you can nurse the baby. You can’t seem to spend quality time with anyone. Your child might even need attention because of medical, academic, or temperamental reasons. Regardless of the reasons, you don’t want your kids fighting or competing for your attention. Or worse, build resentment toward one another. I never knew how easy I had it with only one child until I ended up with three. With only my eldest to care for, any and all attention was on him. But once his twin brothers came, my husband and I had to juggle the needs of all three kids. It’s hard enough to manage parenthood with other parts of your life. How can you make sure no one feels left out and you’re balancing your children’s needs fairly? One, you focus all your attention on that child and assume your other kids don’t need you as much. You don’t have good or bad kids. Even if one struggles with behavioral issues more than the others. Instead, discipline everyone equally. Apply the same rules to all your kids so no one feels favored or neglected. When you feel pulled in different directions, find activities all the kids can do. You might cook together in the kitchen (the baby can sit in the high chair). Unearth an old train set they can put together. Blow bubbles or toss balls to one another. That way, you’re able to spend equal amount of time with all kids. Confession time: I’ve only enrolled my eldest in one extracurricular activity—swimming. And only because he’d asked to take lessons. The twins have yet to enroll in any classes or lessons. I try not to pack our days too much. My kids are all in school so that’s their regular time to be out of the house. If you find yourself stretched too thin with everyone’s activities, reduce your schedule. See if you can implement a “one activity at a time” rule so each child only has one class to attend. If they’re taking piano lessons, then they may not need soccer and chess classes as well. You might fall into a rut of clumping your kids together for every outing and activity. Once in a while, break them up and spend one-on-one time with each. The special time alone with either mom or dad will remind your child how special she is. And regardless of how many siblings she has. Even going to the grocery store or running an errand counts! You can also sneak in one-on-one time with your kids during the day. While the other kids are playing, you might cuddle with one of them on the couch. Or play fun games with each child during bath time. These simple but meaningful moments fill your children’s buckets. With their growing independence, it’s easy to assume our older kids don’t need us. And to a point, they don’t. They can use the bathroom, fetch their own food and entertain themselves. But don’t let their self-sufficiency trick you into thinking they don’t want your attention. The younger kids will need you more, of course. They need someone to change their diapers and dice their lunch. But older kids also need your time. Think about ways you can spend time with your older kids. You might ask for their help with the little ones. Or talk about their day during dinner. And if you can, tend to your older child first if both kids need you. Yes, even if the baby is crying because his pacifier fell out. Your older child will remember and appreciate you meeting his needs. That his little brother wasn’t always your first priority. All this time, we’ve been talking about balancing needs equally. I’ve even mentioned disciplining equally or finding activities they can all do together. But sometimes equal doesn’t mean giving each child the same attention. We all have our own unique needs. Balancing your children’s needs fairly means giving different kinds of attention to each child. For instance, one child who steals the spotlight with his spunky personality and showmanship. But giving his sister the same attention doesn’t mean asking her to dance the way her brother does. Instead, she might prefer quiet time alone reading books with you. Being present for your kids is possible, even when you’re pulled into different directions. Discipline them equally to avoid favoring one over the other. 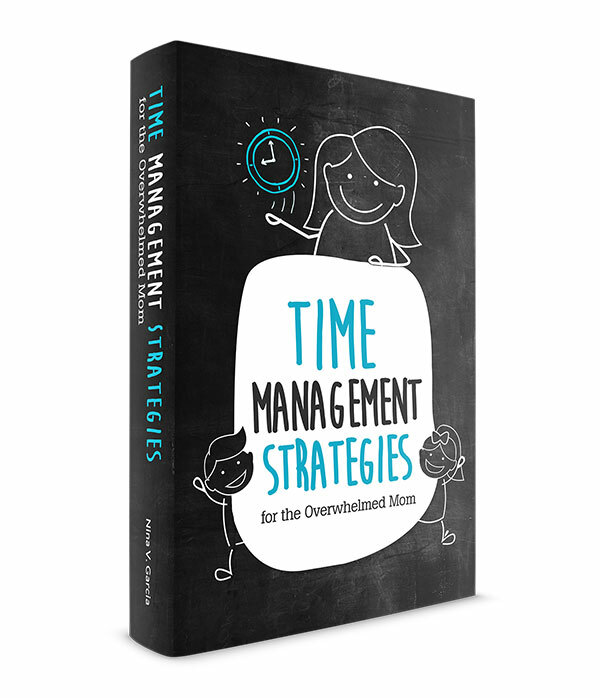 Maintain a manageable schedule so you have enough time with each child. And spend one-on-one time, being mindful of meeting their own unique needs. Even with The Juggle in full-force, you can still balance your children’s needs fairly. Tell me in the comments: What are your biggest struggles with how to give your kids attention? This is a tough topic for parents of more than one! I think when Des was born and was high needs for awhile, Scarlet and Cassidy got so close. Now I miss those moments I could have had with her – during bedtime and other things. I think you get a real taste of the separate needs of your kids, pretty much the second the next one is born! Yes, same here Tamara! My eldest spent a lot of time with my husband when the twins were born lol. We do one-on-one time almost every morning and it makes a huge difference! That’s an awesome ritual you’ve created, Steph! Well said, Nina! It’s very difficult to figure out how to meet all your children’s needs at the same time. We try to make sure that everyone gets at least a little bit of our time. And after this year, I agree with limiting extracurriculars. Our oldest spends two evenings a week at the dance studio (could have been so much more if we’d accepted the apprentice program) and found out that it was just too much for our family this year. Next year we’ll be much better prepared, and have already told both our girls that they will each be allowed one evening activity a week. That’s awesome you were able to pinpoint a stress point Leslie and reduce those extracurricular activities.